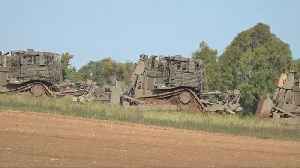 ▶ Videos for "Rocket Attack"
Tanks remained in position on the Israeli-Gaza border on Wednesday after a cross border escalation in response to the longest-range Hamas rocket attack to cause casualties in years. Rough cut (no..
Reuters reports Cross-border fighting between Israel and Hamas abated on Tuesday after a day of Palestinian rocket attacks and Israeli air strikes. 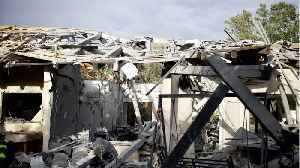 The biggest Israeli-Palestinian escalation in months,..
Israel Defense Forces says a homemade rocket was fired from Gaza into Israel early Monday morning. 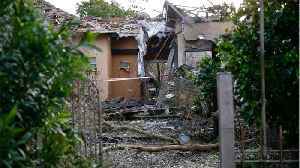 Reuters reports A long-range rocket launched from the Gaza Strip struck a house in central Israel on Monday, wounding 7 people. The early morning attack on a town north of Tel Aviv, came at a time of.. According to Reuters, Israeli Prime Minister Benjamin Netanyahu said on Monday he will cut short his trip to the United States after a rocket attack near Tel Aviv wounded seven people. 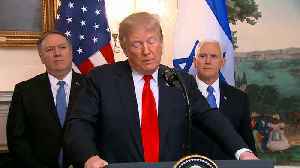 Netanyahu, who..
Reuters reports Israeli Prime Minister Benjamin Netanyahu cut short a visit to the United States on Monday after a rocket attack near Tel Aviv wounded seven people. 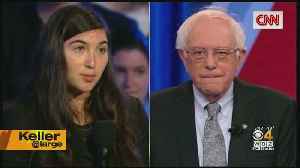 Netanyahu threatened a forceful.. 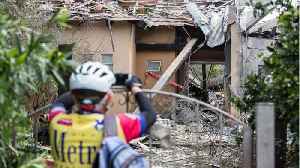 Seven people are being treated in hospital in Israel, after a suspected rocket attack from the Gaza Strip hit their home north of Tel Aviv. Gracie Jerome reports. 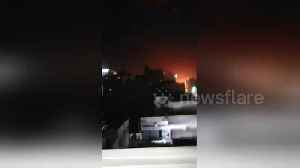 Israeli military aircraft bombed Hamas targets in Gaza early on Friday, hours after two rockets were launched toward the city of Tel Aviv. Hamas denies it was involved in the opening salvo. Saskia..
Israeli warplanes attacked militant targets in the southern Gaza Strip early Friday in response to a rare rocket attack on the Israeli city of Tel Aviv, as the sides appeared to be hurtling toward a..
A live camera crew at a Kabul political rally records fleeing crowds and confusion as multiple rocket strikes landed nearby. At least one person was killed and several wounded. Rough Cut (no reporter.. 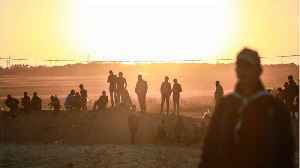 The rocket attack threatens to undermine Egyptian-mediated efforts to cement a deal to ease a crippling Israeli-Egyptian blockage of the crowded territory. Monday's rocket attack on Israel by Hamas militants in Gaza has escalated the conflict between the two sides into a new phase that could lead to the most serious and deadly confrontation since 2014 --..
Israeli forces continued to strike targets Tuesday in the Gaza Strip with at least 15 airstrikes after a rocket attack from the Palestinian territory. An outbreak of violence between Israel and the Palestinian militant group Hamas appeared to pause Tuesday. 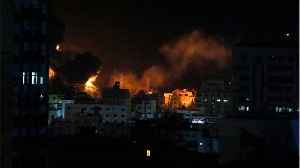 Israel launched a series of airstrikes overnight in Gaza. Prime Minister Benjamin Netanyahu.. 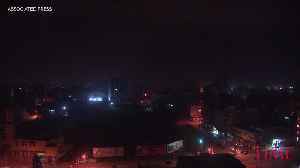 Explosions rang out in the Gaza strip after Israel's military struck Hamas targets in retaliation for a rocket fired from Gaza. Prime Minister Netanyahu cut short a Washington trip and returned home. 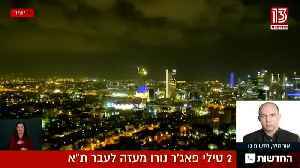 Rockets fired from Gaza into Israel have stoked new fears of a major clash. This comes as President Trump recognized Israeli sovereignty in Golan Heights. 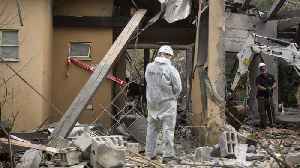 i24News senior Washington correspondent Dan..
Israel’s military said it fired at Hamas targets hours after a rocket from Gaza hit a house about 20 miles north of Tel Aviv. 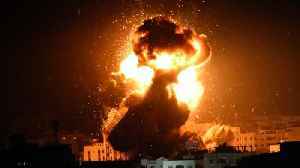 Prime Minister Benjamin Netanyahu blamed Hamas for the attack and vowed..
Israeli forces have struck targets across the Gaza Strip in response to a surprise rocket attack from the Palestinian territory. Israel launched air strikes in the Gaza Strip and deployed extra troops to the border on Monday, promising a strong response to the longest-range Palestinian rocket attack to cause casualties in years. 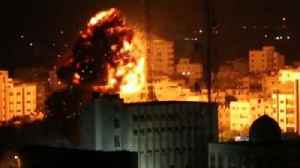 Israel has launched air strikes in the Gaza Strip after a rocket attack near Tel Aviv wounded seven people. Benjamin Netanyahu has cut short his US trip and the Israeli military is moving up reinforcements after a rocket attack from Gaza hit Tel Aviv, wounding seven. Israel launched air strikes in the Gaza Strip on Monday after a rocket attack near Tel Aviv wounded seven people, prompting Prime Minister Benjamin Netanyahu to cut short a visit to the United States. 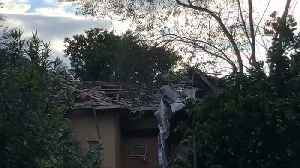 Watch VideoAt least seven people were injured when a rocket destroyed a home in Israel early Monday. 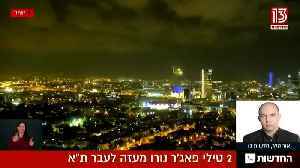 Israel Defense Forces says the homemade rocket was fired from Gaza into Israel. It destroyed the..
An early morning rocket from the Gaza Strip has struck a house in central Israel on Monday, wounding seven people, raising concerns the attack could set off another round of violence shortly before the..
President Donald Trump, at the start of a meeting with Israeli Prime Minister Benjamin Netanyahu, said on Monday any future Middle East peace deal must account for Israel's right to self-defense,..